Wishing all my dear readers a very happy and colourful HOLI! Yesterday, I prepared shankarpali aka shakarpara, a very popular sweet biscuit prepared with plain flour or maida, sugar, ghee and cardamom powder. 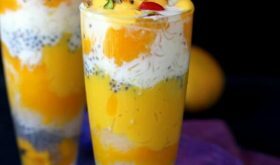 It is prepared all over the country and goes by different names based on the region. 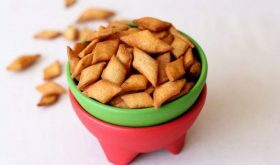 These sweet maida biscuits are known as shankarpali in Maharashtra, shakarpara in Gujarat, sweet tukdi in few parts of North India, kalakala in Tamil Nadu, and teepi maida biscuits in Andhra. 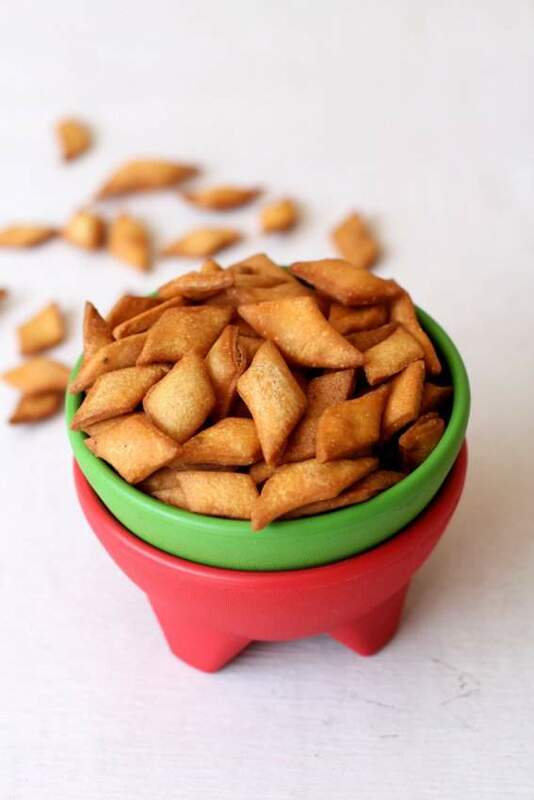 Shakarpara is an absolute must-have snack for festivals like Holi and Diwali. I love the simplicity of these diamond shaped biscuits with the flavour and richness of ghee and cardamom shining through. During my growing years, maida biscuits were our regular after school snacks both the sweet and savoury versions. I have blogged the spicy maida biscuits. My son, Nehal, is fond of both the sweet diamond cuts as well as the spicy version. They are so easy to make and you wouldn’t believe that there are so few ingredients. 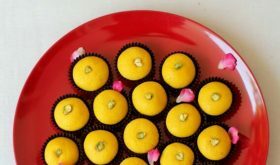 This sweet shakarpara are so addictive that you will just keep munching on them like there is no tomorrow. They are two methods you can follow to make shankarpali recipe. One method requires the addition of all the ingredients in a bowl and kneading to a firm yet smooth dough. You can use powdered sugar instead of granulated sugar while following this method. 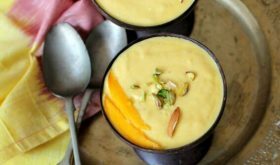 The other method involves lightly warming the water, sugar and ghee till the sugar dissolves. This warm sugar mixture is added to the dry ingredients and made into a dough. I follow the latter method as it ensures even mixing of ingredients. Rich clarified butter or ghee is the special ingredient that gives shankarpali its lovely flavour. Not to mention, it is responsible for a flaky yet crisp shankarpali. You can also use soft butter or oil if you do not have ghee on hand. Ghee lends a lovely aroma and nutty flavour along with cardamom powder. 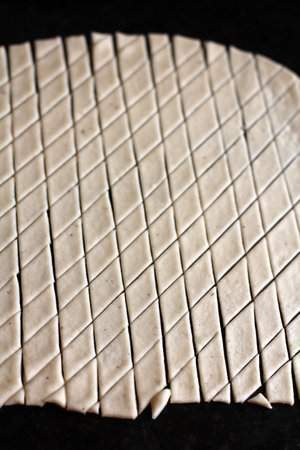 Do allow the dough to rest for at least half an hour to an hour before rolling it out and cutting it into diamond cuts. With regard to the thickness of the diamond cuts, you can make them thick or thin based on your preference. I like to roll them slightly thick since on deep frying on low heat, the shakarpara will have a nice flaky texture. Deep fry the shankarpali on a low-medium heat to a delightful crispness that enhances the texture of the maida biscuit. Since we have added sugar, they will turn a shade darker than they would for spicy diamond cuts. 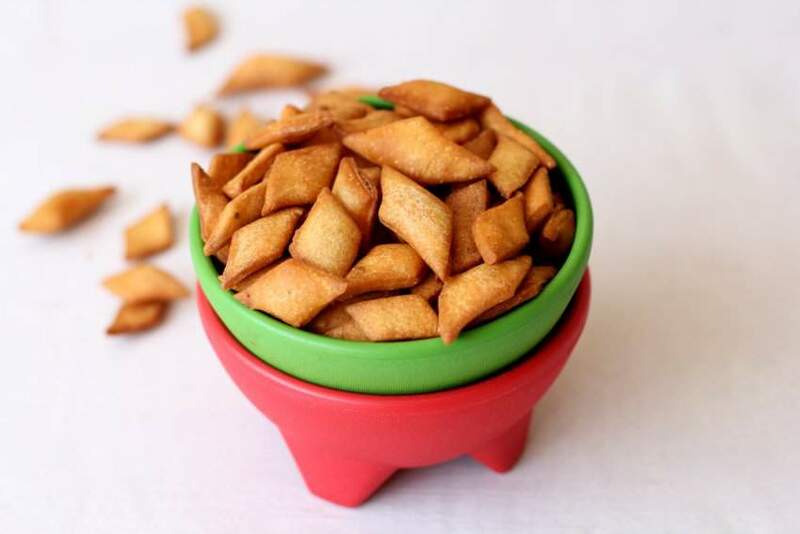 A kid friendly snack and much loved by the adult folks too as a tea time snack. Do give it a try, if you haven’t yet. In a bowl, add the maida, salt, and cardamom powder and mix well. 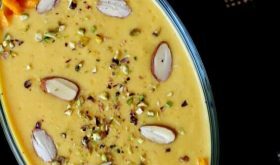 In a small pan, add water, ghee and sugar and allow the sugar to melt. Turn off heat and pour this over the flour mixture. Slowly, keep mixing to form a slightly firm yet smooth dough. Knead for a good 6-8 minutes. Cover and set aside for at least 30 to 60 minutes. Dust the working surface with flour, Divide the kneaded dough into two portions. 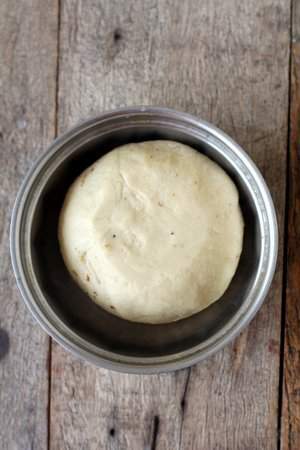 Roll the dough into a large thick circle. You can roll it into a 1/4" thick circle. You can even roll it a little thinner than 1/4". Heat oil for deep frying in a heavy bottomed vessel. 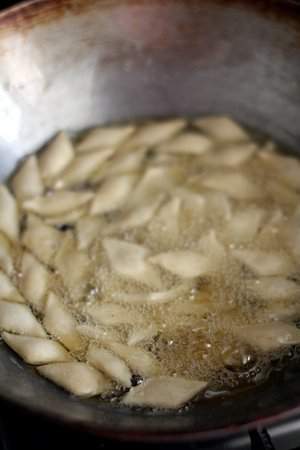 Place a small piece of dough in the hot oil and if it sizzles and comes to the surface of the oil, it is ready for deep frying. Deep fry till they attain a golden brown shade. You will know they are done once the sizzling of oil stops and the biscuits attain a golden shade. Remove the finished shakarpara with the help of a slotted ladle and place on an absorbent paper. Once cool, place them in an airtight container. Alternately, you can also bake the diamond cuts by preheating the oven at 180 C for 15 minutes and bake for 15-18 minutes. They have a shelf life of at least 10 days to two weeks. If required, you can add more maida if the dough is too soft. If the dough is too stiff, add a tbsp or two of water and knead for a couple of minutes. 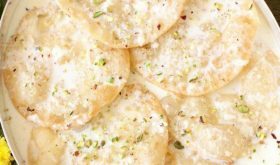 By Sailu Category: Indian Sweets Recipes Published: March 13, 2017 Shankarpali recipe or shakarpara, an easy to make snack for Holi & Diwali. Maida biscuits or diamond cuts are popular in the South, Maharashtra & Gujarat. This looks great! In my Konkani cuisine, we make a savory version that tastes great too. We just add red chili powder to the flour mixture instead of sugar and cardamom, and it’s a good snack. We call it Tukadi. But you are probably aware of this, I’m sure. I like your recipes those you used to post in your blog. Many many thanks and namaste to you. May god bless you and keep you happy and healthy. May i have a photo of you? My email-id biplabbiswasg@gmail.com.